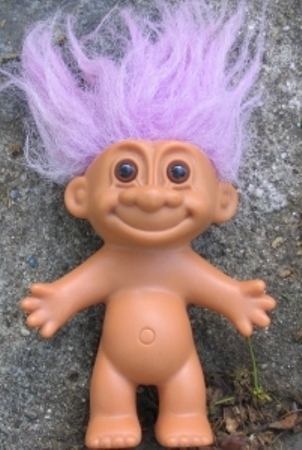 I tried to see things from my troll’s perspective. Was he simply bored one day, came across one of my blogs, and decided he’d say something vile just because he could? Was he someone who has hated my guts since Day 1, and finally worked up the courage to let me know what he really thinks of me? Was I just another stop on his 2016 Hater’s Tour, typing fingers so white hot with rage that he couldn’t even run a little spell check before hitting ‘send’? Whatever my troll’s reason was, it got me to thinking: why waste his time & energy on me? I mean, trolling me wasn’t a total waste for both of us- it turned my gears enough to churn out a blog post- big ups, Troll! But for him, even if it only took him a minute or two to come up with such a sophisticated insult (though I can’t imagine how it wouldn’t take hours to come up with prose so biting that even Shakespeare would have to give props), I can’t help but think about how better his time could be spent. Instead of trolling me, what if he spent that time and energy getting his own house in order? Instead of writing eleven hateful words to a person he’s never met, what if he read eleven helpful words that would propel him into doing a bit of good for himself? It may not feel like a lot, but those mini-moments we spend throwing shade at someone else really do add up. We don’t exactly have an unlimited amount of time to hit our goals and try to turn our dreams into realities, so why spend those finite seconds throwing around negative energy? Coincidentally, I recently listened to an episode of NPR’s “This American Life” that dealt directly with internet trolls- you can listen to the episode here. In the episode, writer Lindy West, probably one of the most trolled women on the Internet, comes in direct contact with one of her former trolls. It’s a fascinating listen. It’s also a good reminder that words aren’t just words. Words can carry a powerful amount of energy with them, for both the person speaking and the person being spoken to. And if you don’t want to heed these words, at least get a proofreader for your next insult. Action requires kngdoewle, and now I can act! Just don’t “act” like a troll!